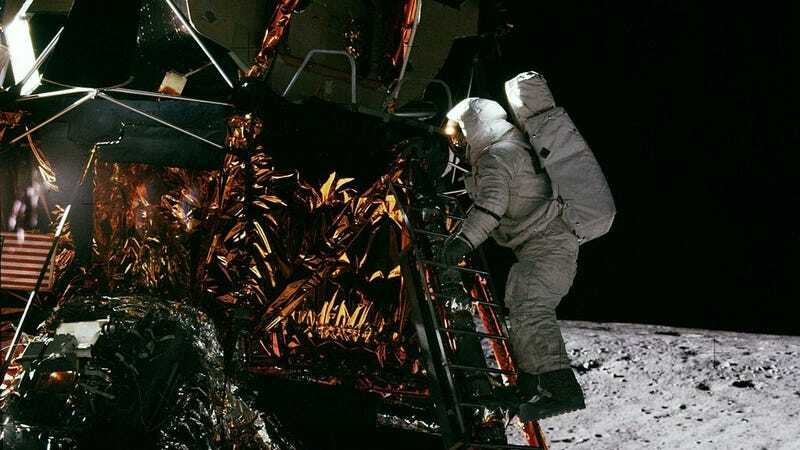 There are few things more awe-inspiring than the moon landings of the 1960s, even to this day. Today, we’d like to celebrate the life of Alan Bean, the fourth person to walk on the moon, who has passed away peacefully in Houston on May 26, 2018. The crowning jewel of Bean’s list of accomplishments is, of course, his participation in lunar exploration. In 1969, he was the lunar module pilot on Apollo 12, which made the second mon landing. When he stepped out of the craft, he became the fourth person in the world to set foot on the moon. Four years later, in ‘73, Bean commanded the second crewed flight to Skylab, the first space station from the US. In total, he spent 69 days in orbit, which includes the 31 hours he spent on the moon collecting samples and running various experiments. Aside from that, Bean was a naval officer, a Naval aviator, an aeronautical engineer, and a test pilot. After receiving a Bachelor of Science at the University of Texas at Austin, he completed flight training followed by a four-year education at the US Naval Test Pilot School in Maryland. Bean’s career at NASA lasted for eighteen years. In 1981, he began to realize how many passionate young people were lining up to take part in space exploration and understood that his true passion was not in the extraterrestrial, but in painting. He felt it was his duty to add color to a moon that had only been seen by a select few, and to recreate the lunar experience for the everyday man. He even used real moon dust in several of his paintings and featured a variety of textures to add authenticity. While traveling in Fort Wayne, Indiana, Bean fell ill. Unfortunately, he passed away soon after. He’s left behind his second wife, Leslie, and his children Amy Sue and Clay. At age 86, Bean was one of the last five moonwalkers still alive in 2018. His legacy, however, is one that will live on in history as an inspiration to anyone who finds it fascinating to stare up at the night sky and wonder what lies beyond.